Anybody have any thoughts on what exactly "Sonic: Lost World" might be? Sega's being coy again. Sega's been busy this week. Over the past few days, the House That Alex Kidd Built (Then Was Summarily Forgotten By) registered two new internet domains. Specifically, it was Sega of Europe, and the two website addresses the firm locked down are "soniclostworld.com" and "soniclostworlds.com". Curious, no? To date Sega has yet to mention any game titled anything even remotely similar to Sonic: Lost World. That said, it's about time for the publisher to roll out a new Sonic the Hedgehog sequel, so it would come as little surprise to see Sega announce this Sonic: Lost World game in the near future. Now that we've established this to most likely be an upcoming, as-yet-unrevealed game, the big question now remaining is what exactly Sonic: Lost World might entail. Joystiq already swiped the obvious "Sonic versus dinosaurs" concept, so instead I'm going to posit the idea that Sonic: Lost World is a point-and-click adventure game where Sonic is tasked with literally finding pieces of a world, within some other, largely unrelated world. Granted, that's an idiotic premise, but compared to that time they gave the black hedgehog a bunch of guns and a kindergartener's concept of "badass attitude," does it really sound so far-fetched? We expect Sega to obliterate this dumb suggestion shortly. 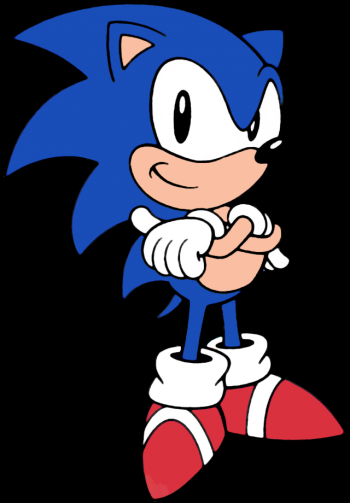 Now that the hedgehog is out of the bag, the company will likely want to properly explain what Sonic: Lost World might be, and why its prospective customers should care. Stay tuned, same hedgehog time, same hedgehog website.